If you have photos or memories of the Lynch School to share, please contact us. MODERN ADDRESS Located at Lynch Rd. near Manning Ave.
DISTRICT BOUNDARIES The School Lakes marked the western edge, while the eastern edge was just east of Manning. The district spanned about two miles north and two miles south of Lynch Lake. 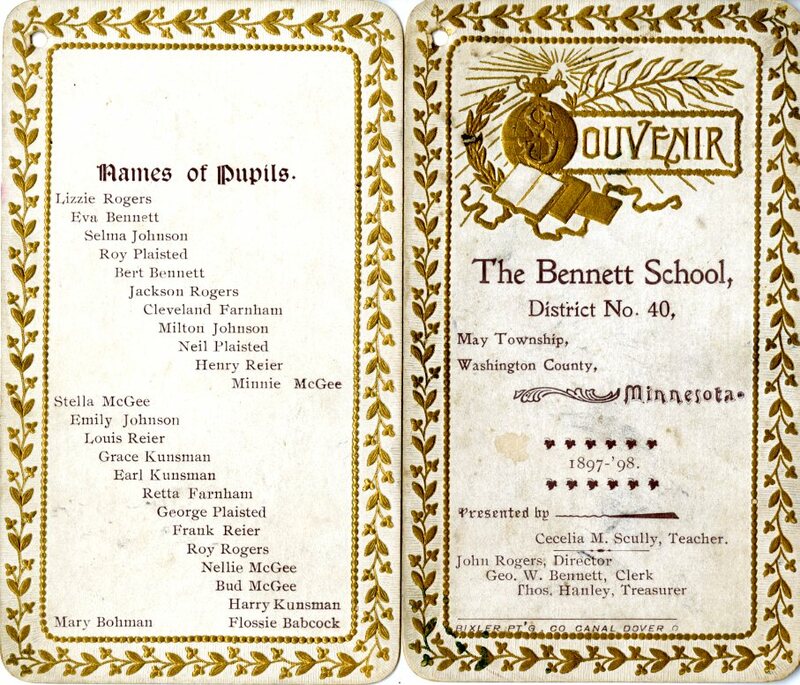 1864: The district is established and school opens in the spring of 1865 with 25 students. 1869: The school mysteriously burns, and another is built the same year. School year lasted 8 months. Enrollment in 1898 was 25. 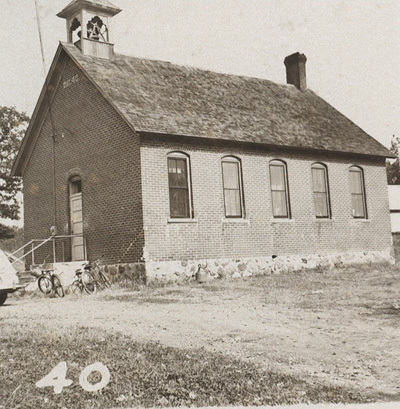 MEMORIES: “My mother put her size 4 1/2 foot down and said if anyone had to ask the school board it had to be me and she would take me to see them…They decided I could attend… My father would take me in the morning and I would ride home with the teacher when she finished at night. I loved every day of it and was up in the mornings before my parents so I would be ready to go.” -Anita Stepan, who went before the board to ask to attend school even though she was only 5. Other teachers: (before 1898): Fraces Gowan, Nellie Hanley, Louis C. Liljegren, C.E. Roe, Nellie T. Clifford, Maudie Downs, Edith Griffin, Cecilia Scully. 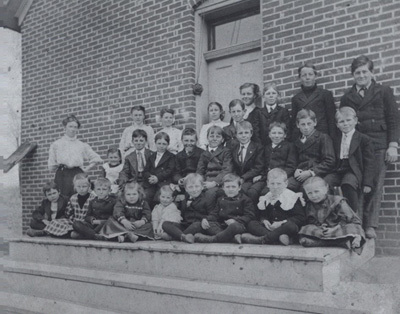 Students from Lynch School in 1903.